For linens one can add few drops of eucalyptus or lavender oil to your laundry detergent for a fresh fragrance. The aromatherapy fragrance spray for a lingering scent on your clean linens or even while ironing clothes does wonders too. Essential oils also assist in killing bacteria, so if you have a pet at home it is the best way to rid the linen of bacteria. Use of harsh chemicals to clean the refrigerator or tables can have its drawbacks. Instead put a few drops of orange essential oil on your cleaning cloth to wipe surfaces. You can also mix essential oil with water in a spray bottle and use it as a cleanser. Just spray it on the table and wipe off with a cloth, you will have a scent of orange left behind. 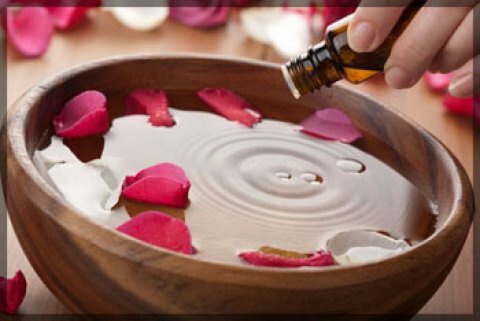 Essential oils also retain the cleansing properties of their botanical origin. For those who have trouble sleeping at night, essential oils can do wonders. A few drops of lavender oil or sandalwood oil on your pillow or your bedsheet will relax you. You can also add the oil to your bath or rub a few drops on to your temples. It helps in relaxation and gives an instant relief.